Kiwis can be grown in the UK in sheltered, sunny locations where sweet grapes grow successfully. Delivery Charges - The delivery charge is worked out from the weight and the size of the plant. We have several rates that apply to UK mainland addresses. A delivery charge of £8.50 is for all single tree orders. £10.00 if more than one tree. Once you have put together your order the delivery charge will show before payment. All orders are despatched in one delivery. Kiwis can be grown in the UK in sheltered, sunny locations where sweet grapes grow successfully. The variety Jenny is self fertile. A very hardy twining climber excellent for covering walls and tree stumps as well as their luscious fruits. A very nice attractive outdoor climbing plant. Arrived in excellent condition and now looking forward seeing it grow and produce lots of fruit. The is the latest order of the many good plants and trees that I have purchased from Blackmoor over the past 2 years. Super looking plant, with a few buds and leaves appearing, a lot healthier and more growth than I expected compared to a kiwi plant I had bought previously from a high street shop. Great healthy looking plant, great service. Delighted with my kiwi. Having already bought one for my friends birthday I thought I'd try one. As always, excellent service from ordering through to arrival of goods ( just 4 days from ordering). Looking forward to sampling fruit. I was very happy with the quality of the plants I ordered, the kiwi is very healthy and the peach has developing fruit.Delivered next day to Aberdeen so couldnt have done any better!!! 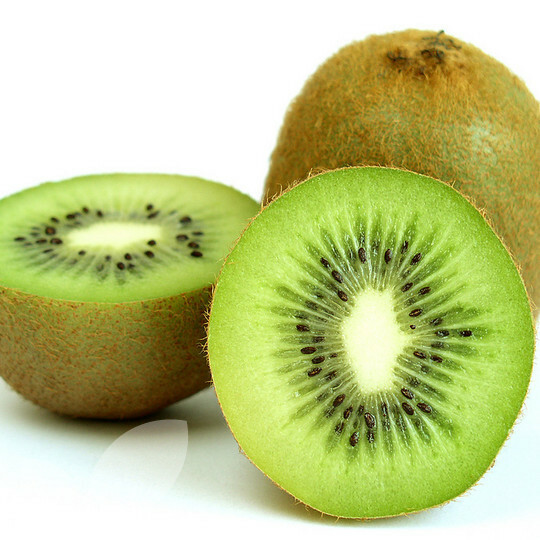 We were amazed by the quality of the Kiwi we received and it was unbelievably well packaged. It survived the winter and although it got knocked back by recent frosts (I neglected to protect it) it is bursting with new shoots. Bought in a previous year and has proved productive, even in the North. Lovely tasting fruit. Wonderful plant which I bought when it was on offer during the summer. It arrived with healthy growth and buds on it. Since then it has flourished on my allotment- really pleased with both the plant and the service. Thanks Blackmoor! You offered us your kiwi plants, and we ordered two. They are beautifully packed, and are tall, leafy and gorgeous plants. We never expected such generosity (£10 each) and the packaging is so good that my three grandchildren turned it into a Christopher Columbus boat exploring the seas to America while my daughter and I dug a deep hole for the huge root pots. There are even flower buds on these mature plants. This is a Greenwich allotment. The second plant is planned for my own allotment (Battle, Sussex) where I hope it will scramble through an overgrown hedge and produce lots of fruit. Thank you.